Attack 2 : Do you hate him? 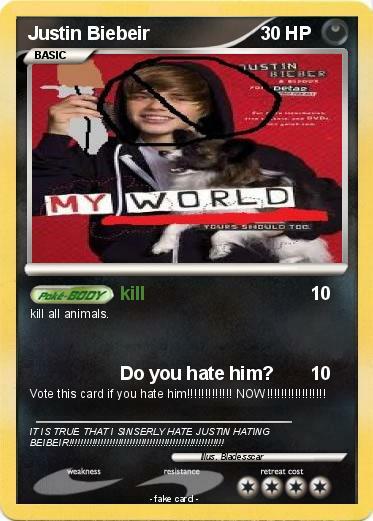 Vote this card if you hate him!!!!!!!!!!!!! NOW!!!!!!!!!!!!!!!!! Comments : IT IS TRUE THAT I SINSERLY HATE JUSTIN HATING BEIBEIR!!!!!!!!!!!!!!!!!!!!!!!!!!!!!!!!!!!!!!!!!!!!!!!!!!!!! !